It's time for another European Nintendo Download Update, and it's a big one. There's a lot on offer on the Switch, ranging from notable retail titles to a number of intriguing downloads. The 3DS and Wii U also have some new arrivals, while there are discounts across all three stores; let's get to it. 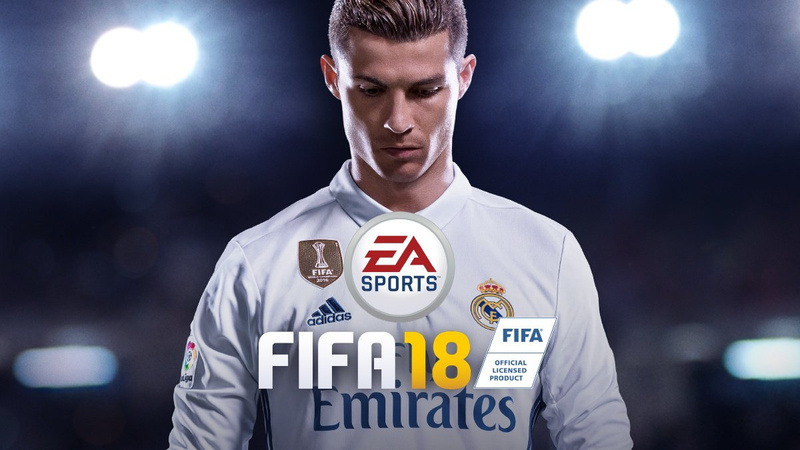 FIFA 18 (EA, €59.99 / £54.99) - A game that's attracted plenty of attention since its reveal; the Switch is getting a 'custom' version that lacks the story mode but does include a Switch-specific local multiplayer option and a full Ultimate Team mode on the go. We're aiming to get our shots on target to bring you a review soon. Available from 29th September. 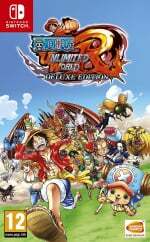 One Piece Unlimited World Red - Deluxe Edition (Bandai Namco, €59.99 / £54.99) - A title that previously made its mark on 3DS and then Wii U, it arrives on the Switch with previous DLC included along with improved visuals and performance. We gave it a recommendation in our One Piece Unlimited World Red - Deluxe Edition review. Available from 29th September. 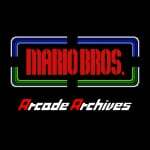 Arcade Archives Mario Bros. (Nintendo / HAMSTER, €6.99 / £6.29) - This arrived earlier in the week and is the first in this Nintendo arcade series to come to the Switch. HAMSTER continues its fine work with ACA Neo Geo games, in this case including single Joy-Con controls for multiplayer and assorted modes and customisations to shake it up. It's an accomplished recreation of the arcade, as we point out in our Arcade Archives Mario Bros. review. 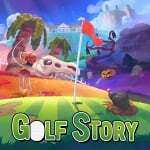 Golf Story (Sidebar Games, €14.99 / £13.49) - A rather intriguing and stylish game that blends retro-style RPG gameplay with golf, with visuals and music that have certainly caught a lot of people's attention. It promises eight diverse environments and a sizeable cast of characters; we're on the course right now in order to bring you a review soon, but our chums at Eurogamer have recommended it already. 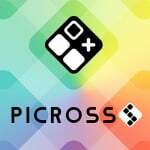 Picross S (Jupiter Corporation, €7.99 / £7.19) - From the same developer / publisher that brought us numerous Picross titles under the 'e' name to 3DS, we have the first entry on Nintendo's latest hardware. With over 300 puzzles (including standard and Mega Picross stages), it also allows two players to tackle puzzles together if they wish. We'll try to form a picture in a review. 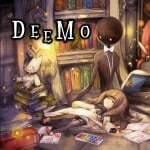 Deemo (Flyhigh Works, €29.00 / £26.09) - Deemo is a touch-based musical rhythm game and has made a strong reputation on mobile, with the publisher claiming in excess of 10 million downloads. As with VOEZ, however, this Switch release will ditch the free-to-start model and include a lot of content for one cost, with more songs (and physical control options) promised for a free update later this year. We'll get one of our resident musicians on the case with a review. 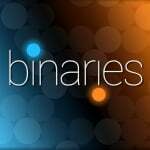 Binaries (Ant Workshop, €11.99 / £9.99) - A challenging BAFTA-nominated platformer, this has over 100 demanding stages in which you guide two balls through tricky challenges. It aims to fill the experience with humour and a "funky adaptive music score"; it looks like it could be a good game for playing on the go, in particular. 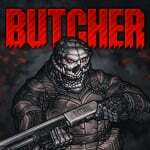 BUTCHER (Crunching Koalas, €9.99 / £8.99) - Developed by Transhuman Design, this is a fast-paced and brutally violent 2D shooter with retro-styled visuals. As well as running and gunning the game also encourages you to use hooks, lava pits, saws and more to your advantage for creative kills. Crikey. 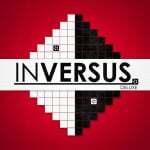 INVERSUS Deluxe (Hypersect, €11.99 / £10.99) - It has a simple aesthetic but aims to deliver compulsive, fast-paced gameplay, as you dash around arenas trying to blast away your foes. Rather well received on Steam (PC), for example, it's also getting some updated content for its eShop iteration including new maps and unlockables. We'll get on the case for a review. 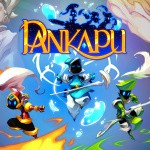 Pankapu (Plug In Digital, €11.99 / £10.99) - A title that previously arrived on Steam in episodic form and seems to have been well received, it's a "narrative and episodic platform/action game that takes place in the dreams of Djaha'rell, a child once troubled by a tragic incident." It promises upgrades to skills and a story told "in the manner of a fable read to a child". 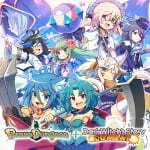 Brave Dungeon + Dark Witch Story:COMBAT (INSIDE SYSTEM, €8.99 / £8.09) - This is an intriguing double release; it includes a Switch version of the 3DS dungeon-crawling RPG Brave Dungeon. Dark Witch Story:COMBAT features a range of characters from the previous 3DS and Switch titles in the series and puts them into a turn-based card battling game. We'll see whether this double header is worth the investment. 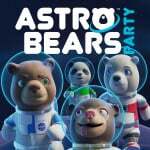 Astro Bears Party (QubicGames, €4.99 / £4.49) - Playing as bears in outer space, you dash around planetoids trying to catch out your opponent in a quirky spin on TRON. It's all about taking out your opponents by making them collide with the lines you create, though there is a solo mode if that's more your speed. 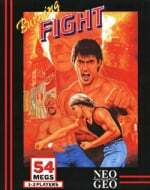 Burning Fight (HAMSTER, €6.99 / £6.29) - The ACA series continues with what was SNK's answer to Final Fight, in which you take on the Yakuza in Osaka. Unfortunately we didn't think too much of it back in 2008 when it popped up on the Wii Virtual Console. 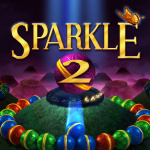 Sparkle 2 (10tons, €7.99 / £6.99) - Another new genre for the Switch eShop, with this being a 'marble shooter' seemingly in in the vein of games like Puzz Loop. It promises four different modes and 90+ levels in its story, which sounds like decent bang for your buck. We'll take aim and let you know what we think in a review. 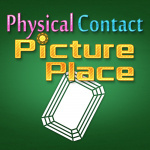 Physical Contact: Picture Place (Collavier Corporation, €3.80 / £3.39) - Another in this series of relatively simplistic games that encourages local multiplayer. We're having a tricky time figuring out the concept from available information, and it's fair to say we were distinctly unimpressed with this one's predecessors on the eShop. Yo-kai Watch 2: Psychic Specters (Nintendo / Level-5, €39.99 / £34.99) - This is pitched as 'the ultimate version of Yo-kai Watch 2', adding in new creatures and content from the first two variations in this run. We have a review all ready to go, and we think EMBARGOED. Our review will be with you on release day. Available from 29th September. Shockman (Konami, €5.99 / £5.39) - The consistent run of TG-16 games on the Wii U continues with this action platformer, and a nice touch is support for local co-op. It's a decent game all told, though in our Wii review we don't think it stands up to the greats of its era. 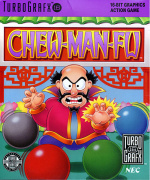 Chew Man Fu (Konami, €5.99 / £5.39) - Another TG-16 arrival, this is a game that not many will be familiar with. At heart it's a top down puzzle game, as you try to push coloured boulders into the correct spot, while there's also a multiplayer mode and puzzle editor. We quite enjoyed this in our Wii Virtual Console Chew Man Fu review back in 2007. 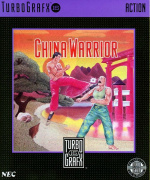 China Warrior (Konami, €5.99 / £5.39) - This fighting game served as an impressive tech demo for the PC Engine / TurboGrafx-16, but gameplay was something else entirely. We were thoroughly unimpressed in our Wii Virtual Console Chine Warrior review. There are a lot of options to consider this week - let us know what you'll be downloading in the poll and comments below. I do kind of want FIFA. I'm just not sure if I "fifty five quid" want FIFA. Hmmm. Lol @ them FIFA 18 microtransactions. As long as there is none of this mandatory download BS, then I shall be grabbing a retail copy of FIFA 18 tomorrow morning. I'll also download Picross S, even though I'm a tad fatigued with Picross at this point (I'm still working through Picross 3D: Round 2). I wouldn't mind seeing another themed Picross game in the spirit of Pokémon Picross, but I'm a little over the vanilla editions. So yeah sorry One Piece but not today. And Deemo would have been nice... With another price tag. @memoryman3 Yeah, those retail eShop prices are... interesting. @ThomasBW84 Well...it's £42.99 at retail. 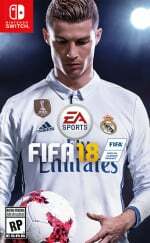 FIFA 18 already shipped. It should arrive tomorrow. Got it for 45€. Picross S, Golf Story, Brave Dungeon, Pankapu, Death Squared, Fifa 18. I think I'm all set for this week. They'll look nice and pretty in my digital backlog. FIFA's DLC is disgusting and a disgrace. Day 1 as well I might add. "FIFA 18 Ultimate Team Points - 12000 FIFA 18 Points Pack (EA, €99.99 / £79.99)"
Gonna wait for reviews on Golf Story and Pankapu, but immediately bought Picross S.
Stupid question maybe but is SMT4 Apocalypse a real sequel or a Pokemon esque semi sequel? Hang on, One Piece Unlimited is $40 yet it's £55! Still not a single Fifa switch review around. Guess I'll grant EA the benefit of the doubt for one time. I just want a good portable Fifa experience. Picross S and 7th Dragon III Code: VFD for me. Already 45/300 puzzles done in Picross. My plan for Switch was to go all digital but with games like Doom, Wolfenstein 2, LA Noire etc on the way it's just not going to be possible. I'm not into swapping micro SD's all the time so I'm going to have to buckle and start buying physical. FIFA Switch will be my first. Ill save my all digital approach for 1st party games. One Piece port of a port of a port. £55. Nope of a nope of a nope of a nope. And what is up with Shin'en Multimedia and their continuous stingy sales? Nano Assault Neo is a launch Wii U game, making it almost 5 years old and in that whole time, the game hasn't had a decent discount, not a single one. Fifa points aren't really DLC. They are points which can be used to buy packs for Fifa ultimate team mode. The packs contain player cards. The cards can be used to build a team with. These points speed up the rate of buying packs and getting players, and as such are more like microtransactions. I don't personally like the fifa points but they have been around for years on other platforms. Nothing on a Nintendo system for me but Cuphead on Xbox. Hope Fifa does well on Switch. But still getting the PS4 version - It is like a movie you want to see in full glory on the big TV. Still no news on SineMora EX physical edition for Switch. Amazon delayed my order and no news still on when they will ship it. Deemo is £26.99 on the eshop, Brave Dungeon/Dark Witch whatever is £8.99 also. Just a heads up. Got a bunch of stuff this week! @memoryman3 On PS4 and XBOX One its £59.99 so yay £5 discount? EA you spoil us. Can anybody tell me if A drawing's journey is any good? I couldn't find any footage or reviews. Also weren't those exact same RCMADIAX games on sale in last weeks update post? Like dude no one wants your games even with your bad attempt at advertising. @riChchestM Yep, they gone crazy pricing these ports. @Gex91 It's disgusting. Basically loot boxes which are basically a form of gambling. Posted a thread about this on Pushsquare. Mod disagreed and archived it. Games media hates addressing this point. Games can sell stuff, sure. However, gambling money on maybe getting something you want is immoral and probably illegal. Sweet Jesus that's a lot of Switch games. I don't agree with selling virtual (worthless) packs for real money either. I've tried ultimate team before, and it's nigh impossible to make a competitive team without spending money on packs. It's a bad way to treat customers who already payed full retail price. However, people seem to still buy these packs. A lot of Youtube and Twitch Fifa players only play ultimate team, and some hardly play the mode and just buy packs continuously. I wouldn't be surprised if they get fifa points from sponsors (maybe even EA?) to make it look easy to get good players. I've gotten packs for points I earned in-game and all I got from those packs were 80 ranked players max (most packs were much, much worse). Why is FIFA so expensive? So many Switch games, so little time. No downloads for me. Fifa physical and a Mini Snes. Now let's see of FIFA is cheaper on the Australian eshop... then I might buy it. Also: has anyone here played Bridge Constructor Playground? I'm thinking about buying it for Wii U.
I wouldn't get Fifa if someone gave it to me. My son gets it year on year- the resell value for the previous year is like 50p and that's after he's spent over 100 quid on packs during the year. Packs that you can't carry over. It's vile what EA does but as others have said, people keep buying them. I'm a little down at the moment so think I'll get golf story to cheer myself up. It's great to see so many games arriving on the Switch, but the eShop really needs an update to its layout to accommodate all these games. It is a little depressing that full price retail titles get the freemium economy of a mobile game bolted on more and more. But since people keep on paying for it... STOP paying for that. I had been quite interested in getting a Yo-Kai Watch game, but having multiple other games that I want to play more has caused Yo-Kai to be a low priority for me. Another expensive week for me. We can't call fifa team point DLC, it 's how work Fifa FUT mode since the beginning. You really don t need it for play FUT. @Gex91 That to me sounds a bit like when I was a kid and used to collect the Panini football stickers. It was a lottery, I never completed a single catalogue. Cost a fortune too. NLife, we need reviews stat! This week is mental. Sparkle 2 looks amazing! @Dogorilla I agree. The eShop is basically just a single long list of games from newest to oldest. You could compare it to that . It's a cash grab. There are so many players in the game and you only get a couple of cards per pack. The packs also have other types of cards, like managers and stadiums, so the odds of getting players like Messi or Ronaldo are awfully slim. FIFA at retail, Picross download. 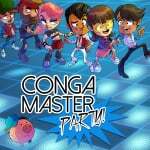 Will look further into Golf Story, Pankapu, Conga Master Party, Binaries and The Bridge. Agreed. The eshop needs an update now. Downloaded Golf Story today. Only played half hour or so, but I'm hooked, exactly what I wanted! Will pick up physical copy of FIFA18 tomorrow. Going to be a good weekend! Ok I admit it , I checked the games I want not what I'm buying (poor right now ). Funny to see golf story outpace FIFA - a global brand monster getting slapped by a small player . Love it ! @dystome exactly ! $15 and. A no brainer. I took a punt on Butcher. OMG it's so brutal! @Yedaself, I vote for SMT. I've made my feelings known before about downloading games and the fact I prefer a physical carts. If you download it there's no resale value and you're stuck with a game you'll probably never play again. Oh and don't get me started on the fact it costs more that a physical cart. Pankapu looks really gorgeous but I've heard there is in fact a current bug with the game in that music plays at inappropriate times. For example, the music cues are not in the correct order or something so that when you fight certain bosses you have calm music or no music at all or when you explore a cave you have non-moody music etc. The developer responded to a review on YouTube citing these problems and has said a patch will be released to fix the game. Steam version to be patched immedtiately but the console versions have to wait. I hasten to add (wish we could have the option to edit comments here) that I haven't played the Switch version myself yet. So if anyone can confirm if these issues with the music are present that would be very helpful. My sense is it is probably best to wait for the patch if they are present in the launch version for Switch. Shame a game as appealing as this seems to have bugs present. Sign of the times these days. Don't know if anyone noticed, but Earth Atlantis was also released on the Switch eShop this week!